Discussion in 'iPhone and iPad Games' started by cjerian, Jul 26, 2015. Learning arithmetic can be boring, with flash cards and facts. 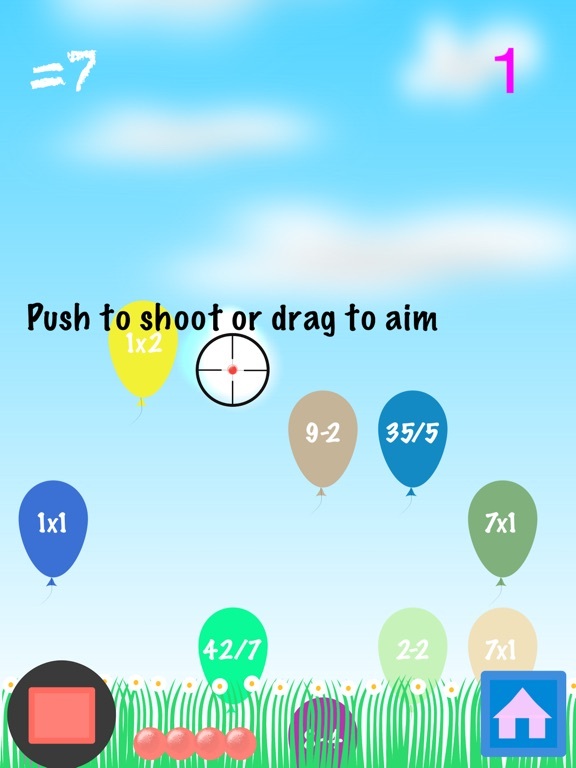 Instead shoot at toy planes and balloon that have have problems that satisfy being equal or less than some number. Difficulty level sets the number. Two ways to shot, move the scope over the object and push the big button with your other finger or move the scope with one finger and click again to fire. Easy levels can be good for younger kids. 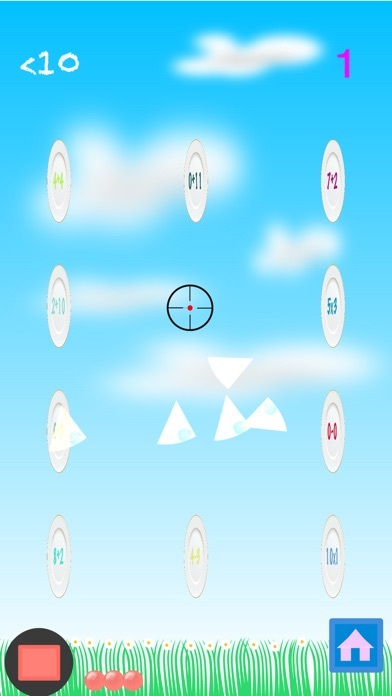 Can make the game harder for kids in higher elementary grades. 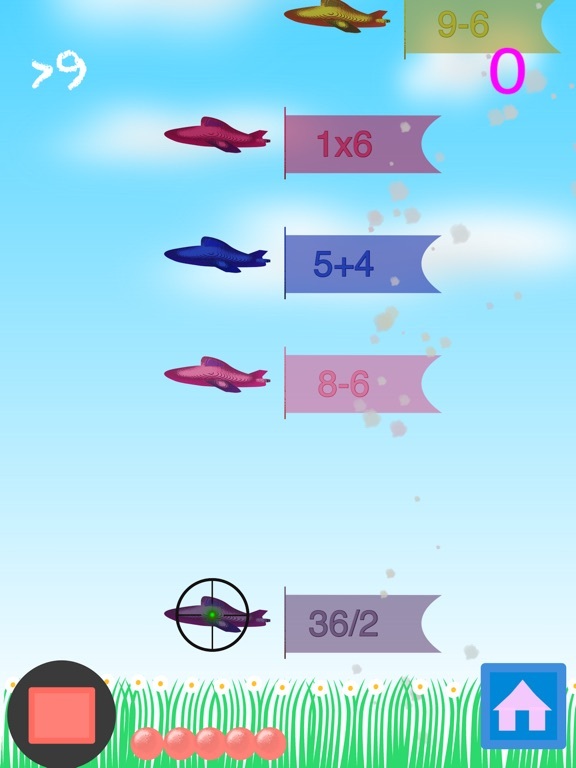 Every student needs to learn arithmetic, but it can be boring, this game makes it easy and fun to learn. 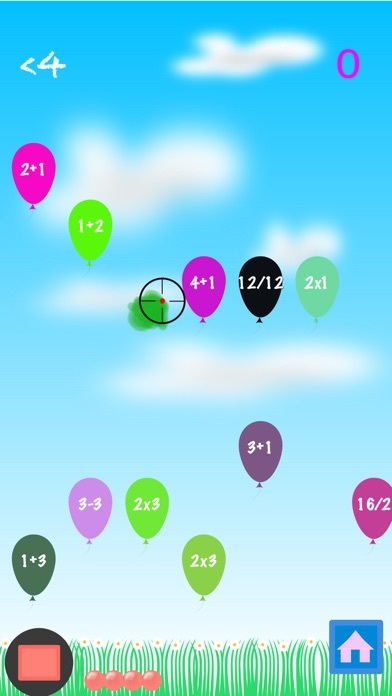 This game is based on children's needs with four difficulty levels: answers that are less than or equal to ten, less than or equal to fourteen, those where addition can carry, and less than or equal to 100. 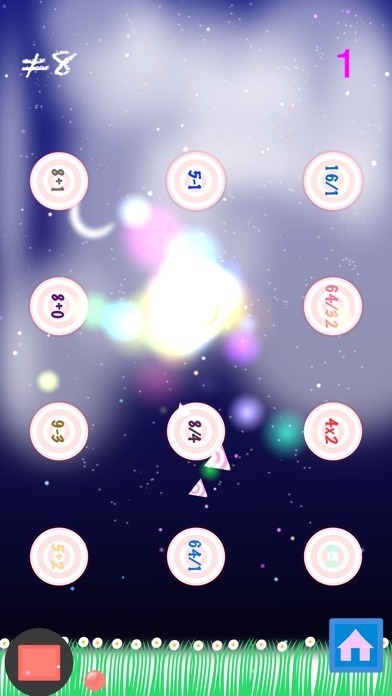 Slide the orange slider to choose different levels. Select whether to find answers that are equal, not equal, greater than or less than the value. You earn points shooting targets that have a problem that matches the answer. 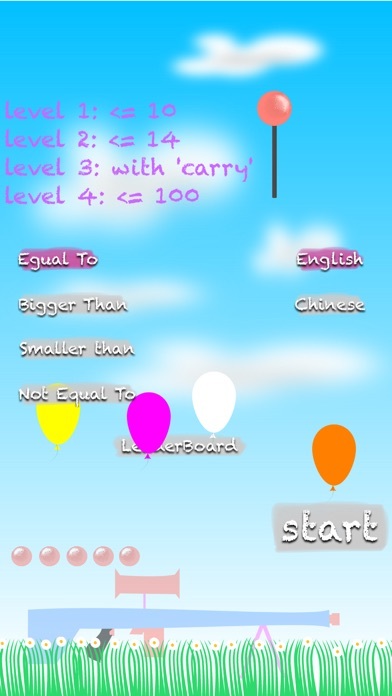 The game can read the questions in English or Chinese. 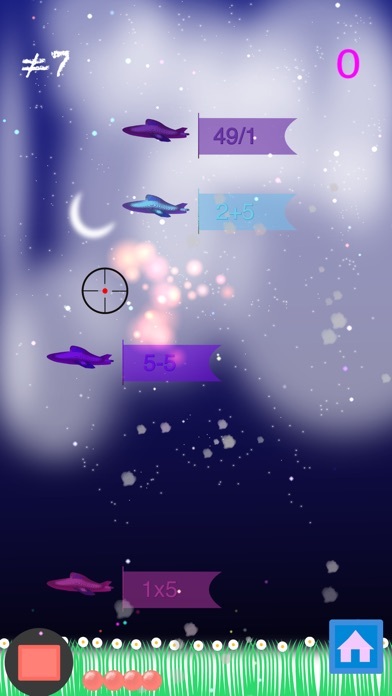 Game scenes can be sunny during the day, or starry at night, in bad weather there is also snow. The scene changes from summer to winter, and night to day as you play the game. There are balloon, plate, toy airplane, and spinning dish targets to add to the fun. 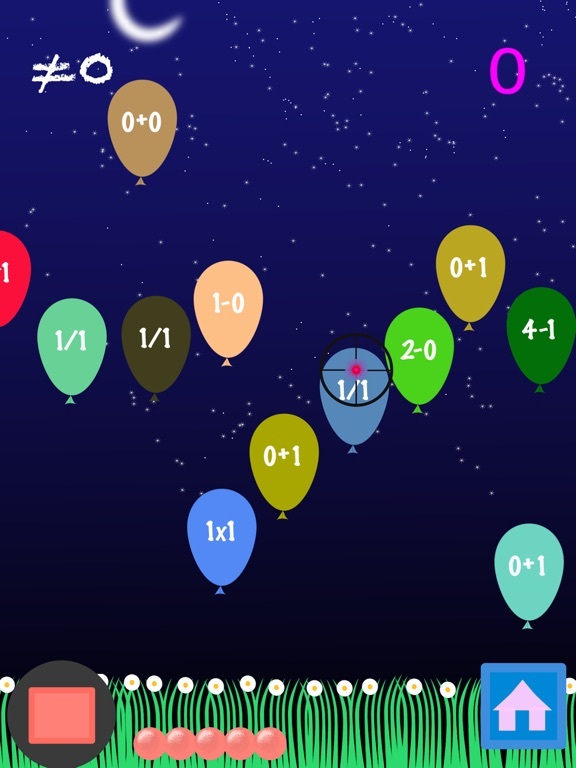 Game center , let children compete with other users, and track their progress.